It’s about time that Robin Thicke regained commercial success across borders. It’s been ten years since Australia heard Thicke on the radio, or on TV, as the shaggy-haired crooner of When I Get You Alone. With much hometown glory and six albums in tow, he delivers Blurred Lines, a mix of the soulful and sensual artist recognisable to existing fans, and club bangers to please the current generation of listeners. The first single and title track Blurred Lines featuring Pharrell Williams and T.I. was either a hit or miss. It could have been another underrated, obscure song to throw on the pile of his amazing work thus far, or a worldwide smash. It rightlfully became the latter. It coincided with the release of Daft Punk’s Get Lucky, also featuring Pharrell, which possibly boosted awareness with Pharrell being on both tracks. Particularly in Australia, the link would have increased interest in the song. Give It 2 U serves to follow as the second single and features Kendrick Lamar. However, it is far from the originality that Blurred Lines offered and nothing like what most would expect from both Thicke and Lamar. The song fits in well with everything else that is being churned out on the airwaves and on television, which sadly, in this instance, makes the track a complete sell-out. It will undoubtedly achieve success but is disappointing for long-term fans. But don’t be deterred. The Robin Thicke we all know and love shines through with the gorgeous 4 The Rest Of My Life. And if you were married to Paula Patton, you wouldn’t leave her either! Most of his previous work reflects this deeper emotion illustrated in this song. However, he has recently stated that he is feeling a lot happier these days, now being a married man and a father, resulting in a natural creation of a more uplifting album. The closing tracks, Top Of The World and The Good Life, are examples of his current positive outlook on life. 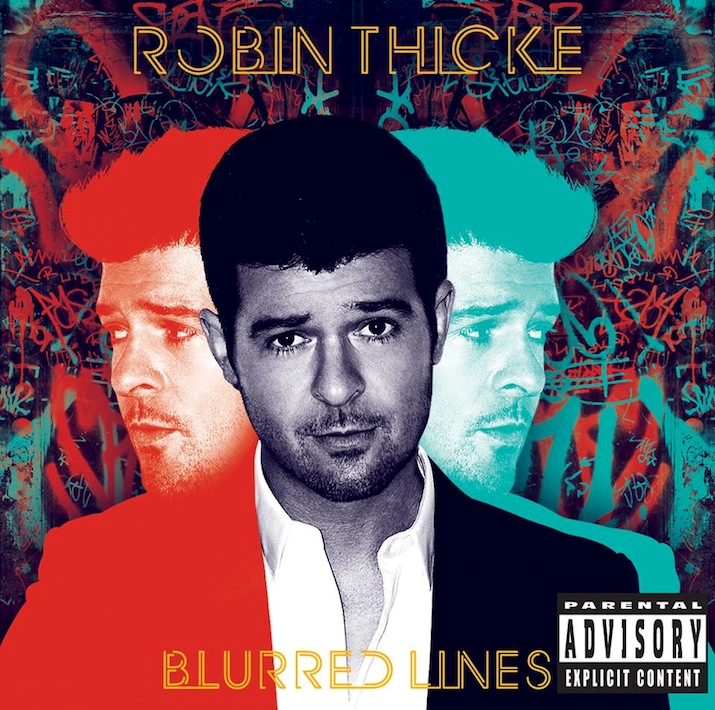 Thicke takes listeners on an old school, funk party with the mega smooth, and stand-out track, Ooh La La, which sounds like it could have appeared on Michael Jackson’s Off The Wall. This is followed by Ain’t No Hat For That, co-written with his father Alan Thicke, and thirdly, the persevering Get In My Way. A few surprise stand out tracks include the Timbaland produced Take It Easy On Me, which screams Timbo, and the Will.I.Am produced Feel Good, displaying Thicke’s classic falsetto over some heavy synths. Both songs starts off sounding like further sell-outs but after a few spins become insanely awesome and have potential to become hit singles. Blurred Lines is still a must-have for any existing Robin Thicke fans that are skeptical about his slight change in direction. He deserves so much acknowledgment for all his work throughout his career. One aspect that has stayed true is his persistence in expressing his life story through music. So if he is indeed a happier man, then by all means bring on the happier music.